What a difference a second season makes. After the average and quite mediocre first season, it seems that Supernatural has found it’s feet with the second season and realises what it needs to be. The first major difference with season 2 is that the story-arc which runs through the whole season is actually an interesting one. The first season’s story about the “yellow-eyed demon” and finding the Winchester Brother’s missing Dad was serviceable enough but this season’s story about a potential army of “gifted” children, Sam being one of them, means we get more interesting stories which actually lead to a compelling and meaningful finale. Before that finale are plenty of story-arc episodes which push that tale along. The episodes about the gifted children, some misunderstood and others corrupted by their powers, actually make for more interesting stories than the usual “monster” ones. It also begins to push and strain the dynamic between Sam and Dean, which considering they are the whole show, is an effective story-telling device. That isn’t to say the “monster” episodes are particularly weak. This season pushes the urban-legend and folklore idea further than before. Everything is here for the casual horror fan, from killer-clowns, love-lorn zombies, the ghost of America’s first serial killer and an unaware werewolf are just some of the tales which make-up the season. There is even an evil hunter thrown in for good measure. It doesn’t really matter who the brothers are up against though as the two central characters are the key to the show’s success. 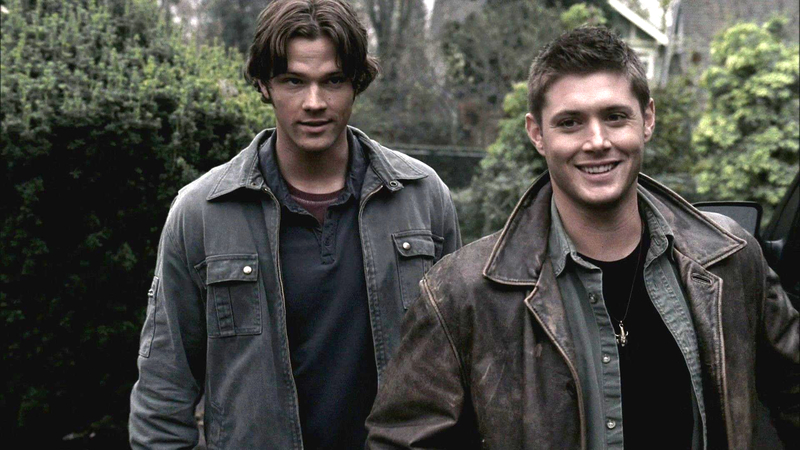 Jared Padalecki and Jensen Ackles, as Sam and Dean respectively, make the show so watchable and the chemistry which was apparent in the first season makes a welcome return. This is demonstrated in both the humour, of which there is plenty, and also the dramatic moments which come to a head in the excellent finale. The story-arc which runs through the show does end with a satisfying conclusion, one that manages to tie-in aspects of the whole series so far. It also has a great cliffhanger and although not as “must-see” as some shows, definitely sets the series up for an interesting third season. Overall, Supernatural manages to build on the potential of season one and delivers an interesting, unique and sometimes even scary second season. The two central characters are great and manage to drive the season forward, helped by an impressive story-arc and well-worked finale. Best Episode – All Hell Breaks Loose: The two-part finale has a decent cliffhanger separating the two episodes as well as effectively tying-up the season arc. Should there be another season? – Definitely, there is plenty of potential left in this show. Next Next post: Is this the way to solve the Indiana Jones problem?